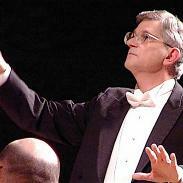 What Can A Conductor Teach You About Leadership? How can you compare “being a conductor” with “being a corporate leader”? Read on to compare these two occupations and you will see why Hugh Ballou’s 40 years as a choir conductor is invaluable in helping people learn how to become leaders. Monday is the last day of Mirella Patzer and Karen Salmansohn’s virtual book tours. If you haven’t gotten your copy of Bloodstone Castle and/or Bounce Back Book – this is a great day to order yours. I’ve read both books and they are each great. They each have something special to offer to you. Jim Musgrave’s virtual blog tour begins in just a few days. 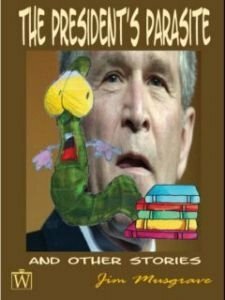 Beginning Tuesday July 1 – you will begin to learn more about Jim Musgrave and his collection of short stories which is published under the title – The President’s Parasite. In The President’s Parasite, Jim Musgrave resurrects all that has gone missing in today’s literature: originality. The title story is a Kafkaesque piece from the point-of-view of an intellectual tapeworm trapped inside a moronic president, and the satirical impact is worthy of Swift. The other stories range from a widower trapped inside the Clock Tower in Baghdad that he constructed, to a baseball pitcher who becomes a living vegetable after a batted ball strikes his head. All in all, there is something for everyone in this collection of 30 eye-popping stories from a truly gifted author. 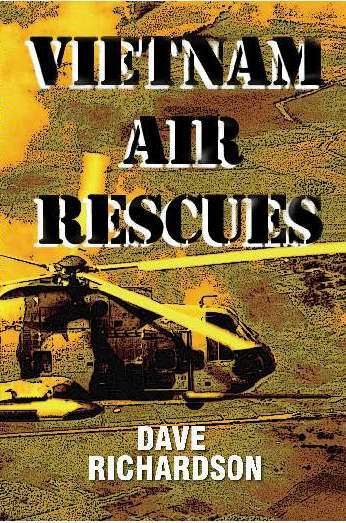 Dave Richardson will tour cyberspace in the month of August to promote his book Vietnam Air Rescues. This is your chance to read the book a father assembled to share a very important time in his life. These personal experiences and his perspectives on an unpopular war as shared in the pages of this exciting and insightful book. Read about his experiences and the faith that helped him through tough rescue situations where a number of lives were in his hands. If you would be interested in interviewing Dave during his tour, feel free to contact us. The book begins with the authors’ ‘Unauthorized History of the Vietnam War’; then continues to describe his life as a “Jolly Green” rescue pilot, picking up aircrew shot down in North Vietnam and Laos. Details of his 7 rescues of 9 men are included, as well as over 30 anecdotes relating to his experiences. The book is profusely illustrated with more than 100 photos, maps and drawings. Born and raised in Southern California and he graduated (BA) from the University of La Verne. In 1960, he married his high school sweetheart and joined the US Air Force. Over the next 24 years, he would be stationed at various bases in the United States and he served in Vietnam. He retired after 24 years as an Air Force helicopter/fixed wing pilot. For 13 years, he taught 8th grade mathematics and he currently lives in Kansas. Check the end of this post for details about Dave Richardson’s military experience. 1966-1967 Helicopter Pilot, Bolling AFB, Wash D.C.
Winton Churchill will be doing a virtual blog tour to promote his book Email Marketing for Complex Sales Cycles from September 15 – October 15, 2008. Let’s learn some more about the author and I’ll give you the story behind his name. Winton Churchill has more that 25+ years experience developing, planning, organizing, and executing sales and marketing programs targeted in markets with complex sales cycles. In addition, Winton has written and lectured on a broad range of information technology and Internet sales and marketing topics. His opinions are frequently quoted in a variety of publications including The Wall Street Journal, Marketing Sherpa, Inc. Magazine, SoftwareCEO, Sales & Marketing Management and a number of industry related business, Internet and software related publications. He has been a key player in a number of successful growth stage software companies. He was Vice President of Sales and Marketing for Contact International Corporation, Inc., the developers of ACT! software, the world’s leading sales contact management software. Prior to Contact International, he was Vice President of Marketing and OEM Sales for Spinnaker Corporation, the world’s 10th largest supplier of PC software during his tenure. In addition to Contact International he has been involved in a variety of senior sales, marketing and management roles for Apple Computer, Oracle Corporation, Sun Microsystems, Legato Systems, and Netfish Technologies (now IONA). Winton is Past President of the South Bay Association of Chambers of Commerce. The SBACC serves 18 Chambers and more than 53,000 businesses in coastal Southern California. For his efforts there, he received a Congressional Commendation at the national level and high praise and formal recognition from the California State Legislature and the Mayor of Los Angeles for his work with the Aerospace/Defense and Intelligence Community. So – Is His Name Really Winton Churchill? Yes, that is his real name….and yes he is related. He has a common ancestor with Winston Churchill, but he is from the branch of the family that moved to America. He is a “Junior” and when his father was born Winston was not yet famous…a public official…but not well known in America. The “Winton” is the name of the first car that crossed the United States in 1903. At that time it was generally believed that cars would never be able to travel long distances on unimproved roads. In fact, at the time, one venture capitalist remarked that the big drawback to the automobile was you’d have to pave the entire network of dirt and gravel roads that crisscrossed the country. Winton’s grandfather was a “car nut” and named his son in honor of that vehicle. The Winton Motor Car Company of Cleveland, OH was sold to a company that would become a division of General Motors and remnants of the original company exist today as one of GM’s specialized engine divisions. For over a decade, Winton and I have worked with many of the same clients and I can testify to the fact that the Churchill Method has consistently produced a reliable and steady flow of leads for B2B sales teams. He closes the gap that almost always exists between sales and marketing. He overcomes the marketing tendency to fail in tangible results by delivering actionable leads for complex sales. His system also helps correct for the sales team’s tendency to work with 90-day goggles, casting aside anything not ready to close now. I’m a believer! The strategies in this book increased our qualified lead flow 237% in 6 months…and Churchill taught use how to automate our follow-up…so my sales reps could focus on our best prospects. Steve Walman, Executive Vice President – Tricerat, Inc.
Dan Nichter, Director of sales, Contact Software International, Inc. reported to Winton at Contact Software, Inc.
working together to accomplish their common goal – closed sales for almost any company. The principles in this book have helped thousands of business people and entrepreneurs increase sales and reduce stress and aggravation…Will you be the next one to benefit? Why not generate more sales, more quickly? Are you burnt out on sales and marketing activities because they are so labor intesive and unproductive? It’s hard to convince prospects, but easier than you think to help them select you. This book gives you proven methods to help you slash the time and effort required to turn your prospects into clients. The principles in this book have helped thousands of business people increase sales and reduce stress and aggravation… Will you be the next one to benefit? Level the playing field!…Compete with your strengths. Winton Churchill is Founder and CEO of Churchill Method, Inc. , an international sales and marketing consulting firm that helps clients improve their sales and marketing processes. He is the author of “Email Marketing for Complex Sales Cycles.” He has held senior positions in both F500 technology firms including Apple, Oracle, Spinnaker and Sun. He headed sales & marketing as VP at Contact Software, the developers of ACT!. He is Past President of the South Bay Association of Chambers of Commerce. The SBACC serves 18 Chambers and more than 53,000 businesses in coastal Southern California. Winton Churchill will be featured in the Self Growth Self Improvement newsletter next week – visit http://www.selfgrowth.com/ to subscribe to the newsletter. Abundant Solutions Radio Show – http://www.blogtalkradio.com/asemotivation/2008/09/30/Increase-Your-Sales – Call-in Number: (718) 508-9600. The show is live from 9 – 10 pm EST. You can also download the recording to listen after the show. Monday is the last day for both of these tours – check back for those details.